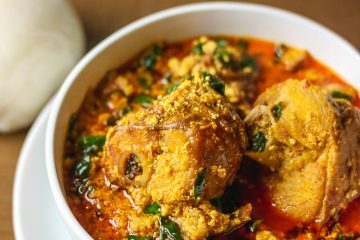 Nigerians and rice, yes another rice recipe. Pineapple egg fried rice, we eat rice any day any time. We love it so much that we can strictly go on rice diet and not mind. Just recently, we had some Nigerians betraying our beloved parboiled white grain rice and went for some fancy rice/rice substitute like brown rice, quinoa, dark wild rice, bulgur and the likes. All these fancy super foods, all in the name of watching our heights! I’m just kidding before you put the gun to my head. The carbs in rice is high, so it is good if you make do with substitutes once in a while. The most important thing to note if you are trying to go on a diet, is portion and time control. I’m a rice addict and I can easily eat rice three times a day. I make effort to make my rice in different styles other than the usual white rice and stew. 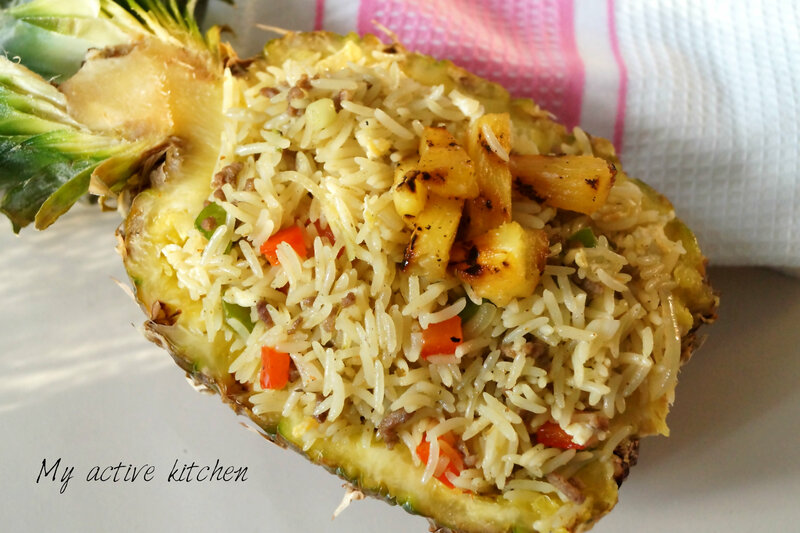 Today’s recipe is my spin on pineapple egg fried rice. 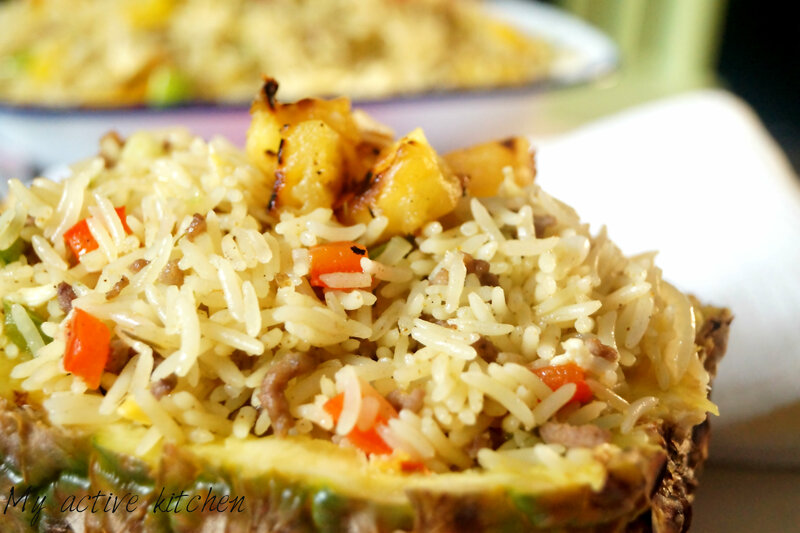 I would call this Nigerian pineapple egg fried rice as no soy sauce or any other Chinese sauce was murdered for this recipe. I love charred pineapple but I’ve never had it in my rice until recently and I have been seeing rice plated in pineapple everywhere for a while now too. The chance to plate fancy came up, when we had a family day out at a local farm with our family friends. I made some fruit salad and I kept some pineapple for my rice. 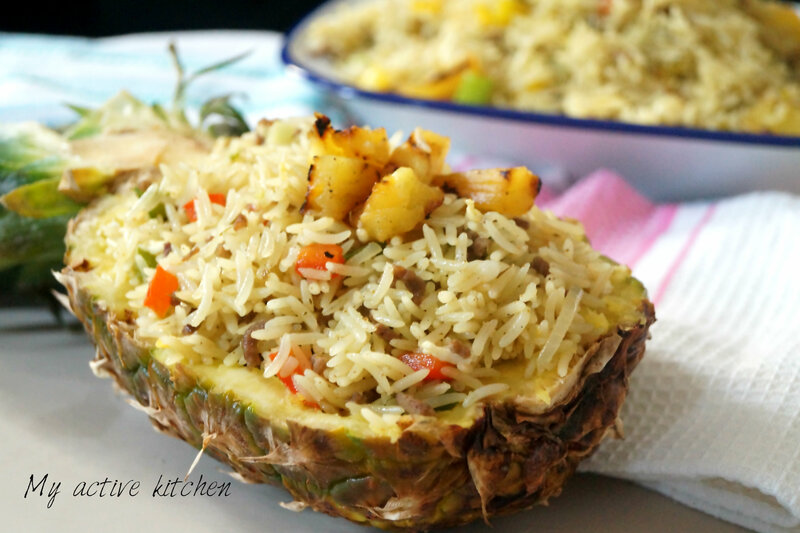 This is another way to enjoy rice and I tell you what; you would love it. Our Uncle Slim approved this too. 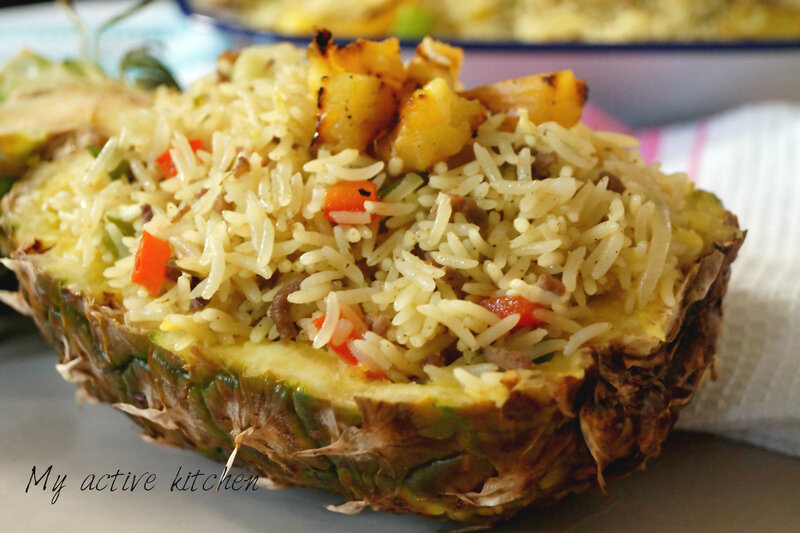 There are stages involved with making this pineapple egg fried rice, it requires some labour of love. From cutting the pineapple to grilling to cooking the rice etc If you want to make the job very easy in the kitchen, make preparations ahead and have it ready for when you are ready to cook. I must also say this, It is your kitchen and your food, make sure you taste your food to know if you need to make addition or subtraction. Right my peeps, let’s get cooking as there’s much to do. If you don’t need to fancy up, just cut the pineapple as normal and slice them to about half an inch sizes. 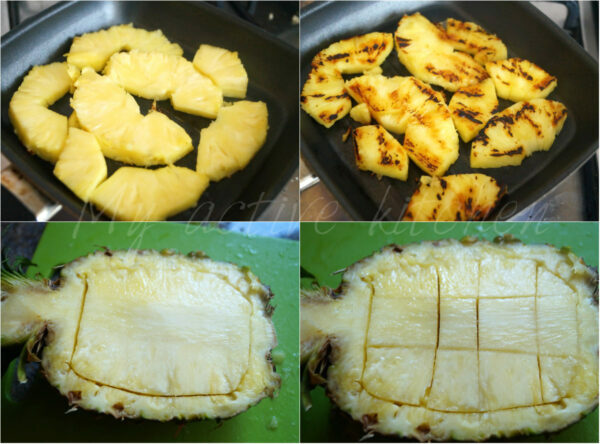 On a medium heat, place a griddle pan and heat for about 3 minutes, add the sliced pineapple and cook on each side for about 2-3 minutes or until slightly charred. Alternatively place under the grill and grill both sides till charred and cut into chunks. Time to stir fry the rice… yay! 1. Break eggs into a bowl and whisk lightly, add pinch of salt and whisk till well combined. Place a frying pan on a medium heat, add 2tbsp of vegetable oil and allow to heat for about a minute or two. Add the eggs to pan and stir immediately till egg is scrambled. This should be in about a minute. Take the scrambled eggs of the heat and set aside. Wash the frying pan for the stir fry. 2. 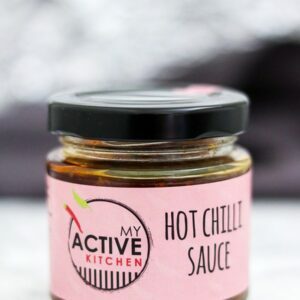 Place a frying pan/wok on a medium heat, add about 2-3tbsp of vegetable oil and heat for about 2 minutes, add mince meat and continue to stir till mince meat is completely brown. Add the chopped mixed peppers and onions and stir till well combined. Add curry and thyme and seasoning. Check for salt and continue to stir fry for about 4 minutes. 3. If you are using a large wok, at this stage just stir the rice to the stir fry veggies in bits till all the rice is exhausted. Add the spring onions to the rice and stir to combine. Lastly add the scrambled egg and grilled pineapple. Stir to combine and check for seasoning and salt. At this stage, the rice should not be needing anymore seasoning but if you need to add more, then do so accordingly. 3a. If you would be going through the shortcut method like I did, place the pan containing the rice on a medium heat and add the stir fried veggies into the rice, stir with a wooden ladle till well combined. 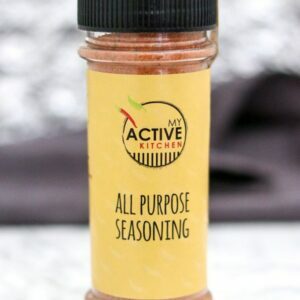 Don’t forget to check for salt and seasoning. Hello! 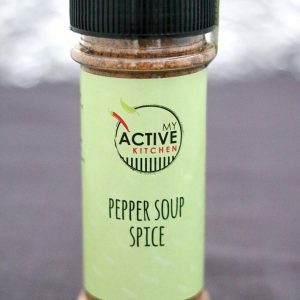 Tried this receipe and my husband loved it. I substituted the minced meat with chicken. Yummy! 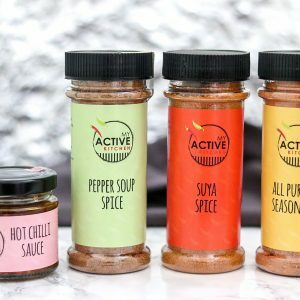 Many thanks for the inspiration…..
Hi, thanks for trying the recipe and your feedback. I’m happy to know you all enjoyed it. This looks really appetising. I’m hoping to recreate this without the mince as I’m vegan. I’ll sub with more veg and/or beans but definitely the charred pineapple. Very well done gal.